I know some of you are looking at the number and going why 41 websites and apps? Why not shoot for an even 50? Well, yesterday was this thrifty gals 41st birthday! Each year since I have started blogging I like doing a post that is a bit more personal around the time of my birthday. 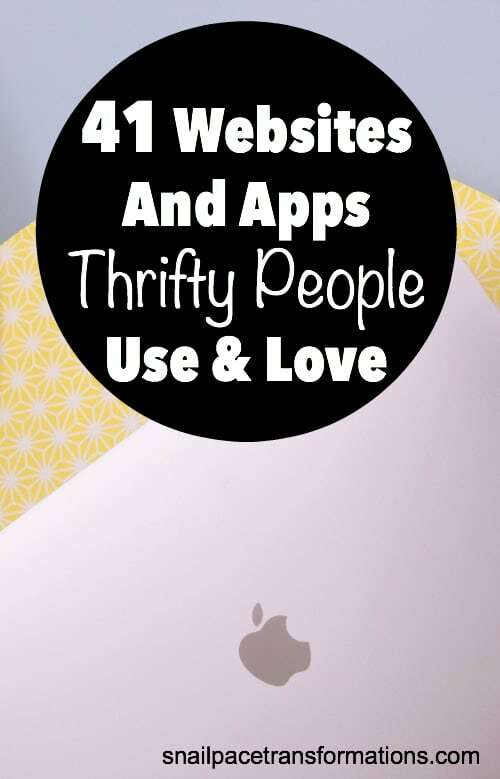 This year I decided to share 41 websites & apps I a thrifty person use and love. Honestly, though there are a few sites on here I have not used but instead just researched or found thrifty people I trust who said “yes I used that site and loved it” because my “personally used” list ran out in the 30s and I am not in that decade anymore. This list is not in any rating order. 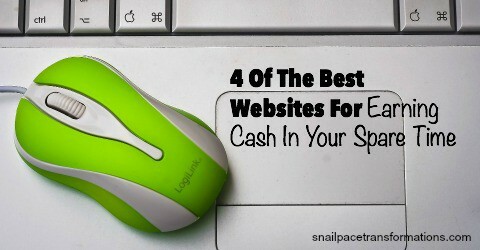 I love all these sites equally for how they help my family and other families save money. I tried to put them into categories, but there are of course some websites or apps that could go in more than one category, so I just put them in the one I thought they served best. MrRebates has a website, app and a chrome extension button making earning a cashback simple. You can request a cash back once your account hits $10. They offer cash back at thousands of stores. What I like about TopCashBack is that you can cash out once your cash back is complete regardless of the total. Yep at TopCashBack, there is no cash back threshold you have to reach. You can also increase the amount you earn by cashing out for Amazon gift card codes. 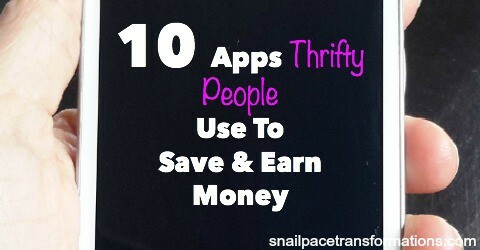 Thrifty people love using cash back sites to earn back a bit of money with their purchases. Ebates is a great cash back site offering 1000’s of stores. I have been reading Crystal Paine’s blog Money Saving Mom since the very early beginnings when a neighbor told me about it. 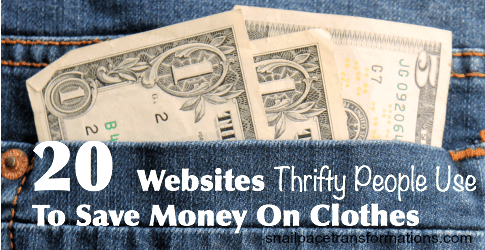 It is a great site for finding out information on all things thrifty and frugal. Coupon deals, free samples, and much more. I LOVE finding good deals, and when I do, I like to share them with my readers. Normally I do this through my Thrifty People Of Snail Pace Transformations Facebook group or in my weekly newsletter to subscribers. Join PINCHme and receive free samples that you can provide feedback on. PINCHme offers new samples each month. Join Daily Goodie Box and receive free samples that you provide feedback on. I have yet to get a free box from Daily Goodie Box but I have watched Crystal Paine of Money Saving Mom open her’s up on Facebook live and the samples are a generous size. CoinOut earns you cash back with almost any receipt/purchase. You can choose from three payment options (PayPal, Bank Deposit, or Amazon) and two of them have zero minimum earning amounts. There is a limit on how many receipts you can upload in a day, but the receipts can be a few days old before you upload them–which is a nice feature for us forgetful folks. Go here to sign up for CoinOut and then download the app. Ibotta is an app that gives you cash back on groceries, movie tickets, clothing, pet supplies, craft supplies and more. Cash out to Paypal or for an e-gift card to Amazon, Starbucks, Walmart and more. I have cashed out numerous times without issues. Go here to sign up for Ibotta and then download the app. Fetch Rewards offers over 150 brands to earn points from. Each time you buy one of these brands when you go shopping simply upload a receipt and the app will fetch the points you earned. Points can add up fast when combined with bonuses. Go here to sign up for Fetch Rewards: Use my referral code RE9FU at sign-up and receive bonus points when you complete your first receipt. If your family has members with Gluten allergies or you love to eat healthy on a budget, you need to check out BerryCart. This app is store dependent but does list a variety of not just health food stores but major grocery chains. Cash out starts at $6 for Paypal or various gift cards. I have cashed out twice without issue. If you’re going to be at the store, you might as well earn some gift cards by scanning the various items you pass in the aisle with Shopkick. In some stores, you earn Shopkick points just for walking in the door. You are paid in gift cards or merchandise. I have cashed out for Starbucks gift cards without any problems. Makeena is an app I am just starting to explore. It offers rebates on organic foods including many “any brand” offers that include items like milk, eggs, and various organic vegetables and brand specific deals. Go here to sign up for Makeena and use my referral code TWNAVD during sign up to earn 1000 points (equals $1) once you upload your first receipt. Receipt Hog is another app that isn’t store or item specific–meaning you can use it regardless of where you buy your groceries, fast food or clothing. Depending on what you buy you earn either cash back or spins. Go here to sign up for Receipt Hog. Use the code YECT1667 during sign-up to earn free spins. My favorite purchase from Jane.com is my peas in a pod Mothers necklace bought for less than $10.00, shipping included, from an Etsy seller. Which brings me to one of my favorite things about Jane.com: you often give home-based businesses a boost when you buy through them. Jane sells everything from clothing for men, women, and children to beauty products, home decor, jewelry and even pet products. Many items can be personalized. Shipping varies. Deals usually last several days but can sell out. Although they don’t always have the lowest prices, Zulily is handy to have in your thrifty tool bag. The site offers daily deals on name brand items. They often feature the running shoes I wear at 50% off and the sandals I like for cheaper than I can get them in store. Deals usually last several days but can sell out. I have used Living Social deals to save money on my favorite restaurant as well as my favorite shampoo. GroopDealz runs deals on a large variety of women’s clothing, jewelry, home decor and children’s items. Shipping costs depend on the item and how many you order of it. Deals usually last for several days, but popular ones sell out fast. Many items can be personalized. What I like about GroopDealz is that often the sellers are small business owners, which is true of the site below as well! My favorite no-brainer way to earn points through MyPoints is by clicking the emails they send you. Each one is only worth 5 points, but those few points slowly start to add up until they equal a cash out earned through very little time spent. I am not a fan of many survey sites, finding them too long for little return. However, I like Paid Viewpoint. Sure their surveys don’t pay much, but they don’t take long either. Most surveys are under 2 minutes, and you can have your earnings paid to Paypal once your account reaches $15. What thrifty person wouldn’t like earning gift cards from normal everyday actions they do online, and that is just what Swagbucks does. Hidden in its name is the reason why I love InstaGC. You receive the gift cards you earn instantly. Most of their ways to earn can be easily done while multi-tasking. For instance, you can listen to music and earn points while working on your laptop through the Radio Loyalty section. How To Earn Giftcards With MintVine Now called Branded. I reader told me about Branded Surveys (formally MintVine), and I am so glad she did. It has been a while since I have discovered a primarily survey based site that I like so much. There are a few ways to earn points without doing surveys but their surveys, are where the bulk of the earnings are. What makes me like Branded so much is they put how long a survey will take right beside the button to take the survey, and their estimate is very accurate–plus their screening process is quicker than many survey companies I have tried, and you sometimes get something even if you do get screened out. PrizeRebel has a great mix of easy point earning tasks and low cash out values. Cashouts begin at just 200 points for a $2 Amazon gift card code, and it doesn’t take long to earn 200 points. What I like about PrizeRebel is they reward you for being an active member with a member level system that gets you discounts on rewards and faster delivery of those rewards. I think skillshare is well worth the $8.25 a month that you pay for it. I have recently taken several iPhone photography courses that are really helping me improve the quality of photos I share on my Instagram account for my travel blog. Skillshare offers courses on hundreds of topics including, writing, blogging, designing, lettering and more. Have you always wanted to learn how to sew, crochet, knit, paint or pretty much any craft? Both Creativebug and Blueprint offer hundreds of courses for a very low monthly fee. ThredUp was the first consignment clothing website I tried. I have ordered from ThredUp several more times since and have been happy with all my orders. They have clothing for boys and girls from infancy through the childhood years. Teenage clothes for girls. Maternity clothes and women’s clothes. You also start your account with a $10 credit when you sign up through my referral link. Swap.com resells woman’s, men’s, baby, children, and maternity clothing. I have yet to use the site, but the selection looks great. The prices seem fairly reasonable, and Swap.com has a resale program too, so if you are seeking to unload some clothing and want a bit of cash in return, you ought to check out Swap.com. Schoola is an online thrifty store that gives 40% of the proceeds fund schools (you can even pick the school you want the proceeds from your sale to go to). They sell clothing for both boys and girls starting from 1 year old to 13+ years old ( the teenage section has both men’s and women’s sizes so adults could shop there too). Receive free hold in your hand books from My Reader Rewards formally (Tyndale Rewards). I recently cashed out some Tyndale points for an Adventures In Odyssey CD set. Paperback Swap is a great site for finding those books on your want to read list. I often find books that we use in our homeschooling. You start your account by listing ten books which then gets you one free book credit. After that, you get swap credits every time someone orders and receives one of your books. 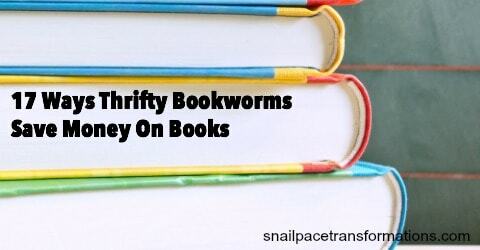 There is some cost involved (see the site for all the details), but it is still a thrifty way to find books on your want to read it list. Recycle Bank is a program that pays you to learn about thrifty actions. Most of their actions don’t take long. I like trading my Recycle Bank points for magazines like Runner’s World. What magazines they offer changes from time to time. Also, make sure that you read what format the magazine comes in; it could be digital or a traditional held in your hand and mailed to your door. Recycle Bank also offer gift cards that you can cash your points out for from time to time. My current favorite source for either free or low-cost Kindle books is Spirit-Filled Kindle. I liked their Facebook page and clicked “get notifications” so that I don’t miss out on their daily listing of free, .99 cents and $1.99 titles. 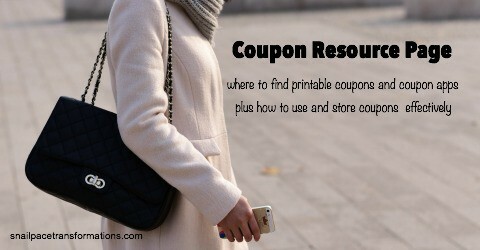 Printable coupon sites are an excellent way to save money on groceries, toys and more. Here are a few coupon sites I have used. Our family has had more luck selling on Craiglist than buying. But I know others that have gotten fantastic deals through Craiglist on cars, furniture, appliances and more. Facebook is for so much more than socializing. I don’t know how many times I have said “our family needs….” only to have offers in seconds of items for either low cost or free. I am also a member of several Facebook buy and sell groups and the few times I have used them to sell my items I have been pleased with my success. eBay and I go way back. I started as a part-time seller selling things to raise enough money for my kid’s activities like swimming lessons. I then branched out into helping my children buy items such as lightly used iPods at a fraction of the cost of new. Amazon is a great site for finding items that are often lower than in the store. You can also sell there and not just your old books. Last year I listened to a podcast on Smart Passive Income about a couple making an incredible income selling items the find on clearance on Amazon. 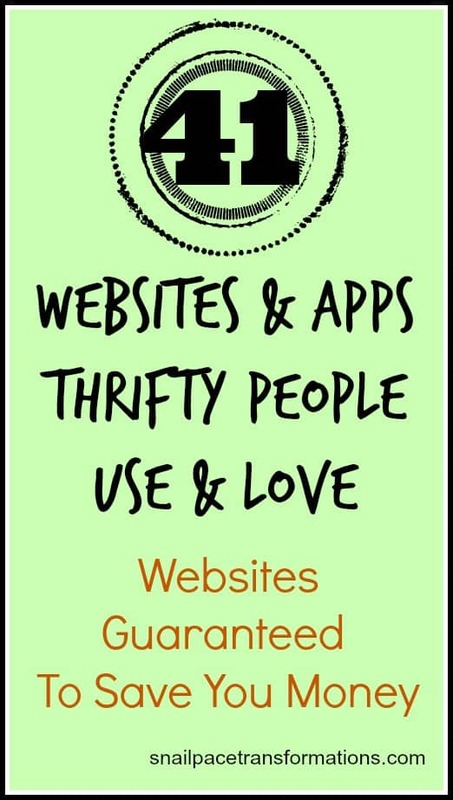 Thanks for letting me share my favorite thrifty sites with you for my 41st birthday! Now tell me about a thrifty website I missed in the comments below. Want to save or earn money? 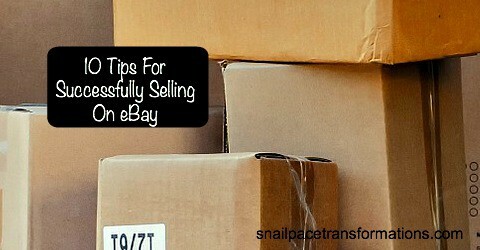 Join my Thrifty People Of Snail Pace Transformations Facebook group. We all know that thrifty family—the one that manages to live on a cash budget with ease. They don’t worry about their credit card bill because there isn’t one. They seem to wear what you wear and eat what you eat, even though they may earn less than you do. Yet they are free of the financial worries that cause you hours of anxiety each month. This book is going to show you their secrets. 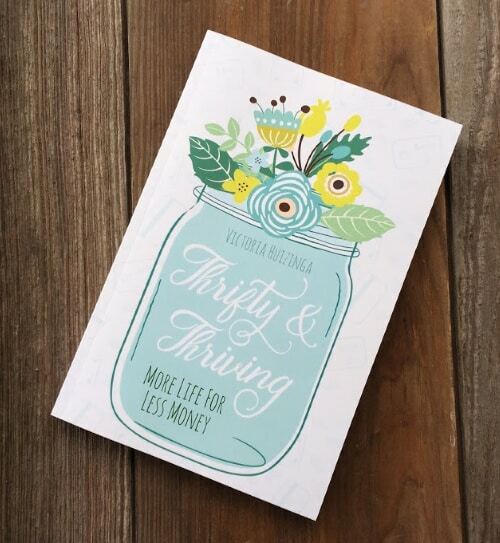 This is not your typical “how to save money” book. It does not list 25 ways to save on food or 10 ways to decrease your electric bill. Instead, it shares more than 40 key practices and principles that thrifty families use every day. Those practices and principles are broken down into manageable action steps that YOU can use to start changing your finances for the better—one small, snail-pacing step at a time. Available in Paperback and Kindle on Amazon get your copy here. This is a great list! I’ve heard of many of them as I am a deal shopper but there a few that I hadn’t heard of. This is a great list! I will be pinning this to re-read again and again! what a great round up! I forgot about Brad’s Deals.. I used to always log on his site!! Can’t wait to check some of these out! Some of them I do use. Another smartphone app that’s great is Receipt Hog – it’s really easy to earn points to redeem for gift cards by just snapping pictures of your receipts. These are fantastic! I am always looking for ways to save a little bit of $. Pinning for future reference! I use swagbucks and a few others on that list. ebates is a great way to get cash back on your purchases. thrivemarket is a great site for saving money on groceries, especially if you are on a gluten free diet, paleo diet and others. I have not figured out how to download a coupon printer without getting numerous viruses on my computer. I do use an anti virus and it will not allow me to download some coupon printers! Yes coupon printers can be a problem as far as viruses go, at least that is something my friend who works on computers told me. There is a way around it and have them print but not the viruses, he did it to the laptop the children use for homeschooling for me. I can’t remember exactly what he did though it has been a few years. I have tried out thrive market too shortly after writing this article and they do have great prices! I just clicked over and had a look. It does look pretty neat I am going to have to take sometime to dig into it. Thanks for sharing. You can also use Bing to get your Hulu Plus every month. That is an $8 savings right there. Happy Belated Birthday! I love your list of money saving websites! This is a good list. Thank you for sharing. I was looking for apps that could help us earn extra income from home. But there is so much more info here. Great job! If you want websites and apps to earn money from home with check out my list of 18+ point reward programs https://snailpacetransformations.com/point-programs/ . I review and list them as I find them so that page is constantly changing. I suggest pinning it so you can come back to it later and see if I have added new ones.